Practitioners of this divination method are called tasseographers and have the ability to interpret the symbols found in coffee grounds. If you are trying tasseography yourself, there are several important things that you should know. First, there is more than one tasseography technique: the Turkish and the Greek one, each having their own specificity. a measure of very finely ground coffee. Boil the water and add the coffee. When the drink is ready, pour it into the cup. Wait for the grounds to settle at the bottom of the cup. Then slowly sip the coffee, without any sugar, while you think about the question haunting your mind, or the thing you would like to know about your future. If you are not used to drinking coffee, just take a single sip and slowly pour the rest into the sink. It is however advised for anyone reading coffee grounds to drink it themselves, as it improves the results of the interpretation. Just leave a few drops in the cup, so that the grounds do not get too solid. Flip the cup over the saucer: first put the saucer on top of the cup, and then flip it. Wait for at least 3 minutes. Once the coffee grounds are dry, you can flip back the cup to look at them and start with the interpretation of the symbols you see inside. The so-called Greek method of tasseography (most likely a reference to is origins) is slightly different and less widespread. In order to perform a reading using coffee grounds with that technique, you will need the same elements as for the Turkish method, but you should add some sugar to your coffee. The only goal of the sugar is to make the drink thicker, firmer so that it sticks even better to the cup. Once you have poured the coffee, drink it in small sips. Strongly whirl the liquid between each sip, you want a few drops to brim over and run down the outside of the cup. When you are done drinking the coffee, flip the cup on the saucer and wait for a few minutes for the coffee stains to dry. You can then proceed with the coffee reading through the interpretation of the symbols on the outside of the cup (what lies inside is ignored). From said interpretation, you can find some answers to your questions, some solutions to your problems, or even know more about the future. 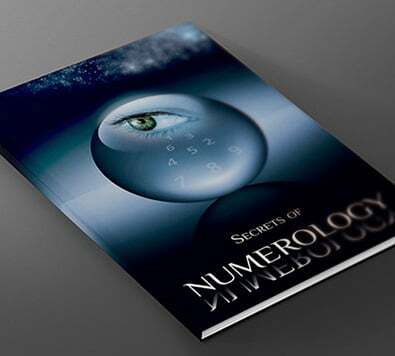 What Are Your Core Numerology Numbers?